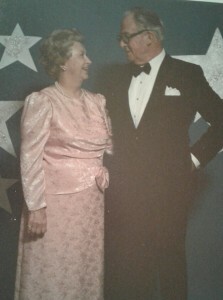 how my grandparents enjoyed the celebration of this race – and how much I love the memories of my grandparents. Burnett (no relation to me) of Louisville, Kentucky. 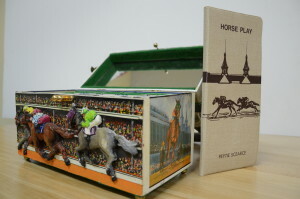 Her work has been displayed in The Speed Museum of Louisville, the Wakefield-Scearce Galleries in Shelbyville, Kentucky among many other places. 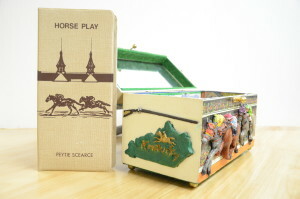 Because Mark and Peytie were regular attendees of the Kentucky Derby, he asked Ms. Burnett if she would make a custom purse for Peytie – a one-of-a-kind purse that Peytie could carry in celebration of the Derby. 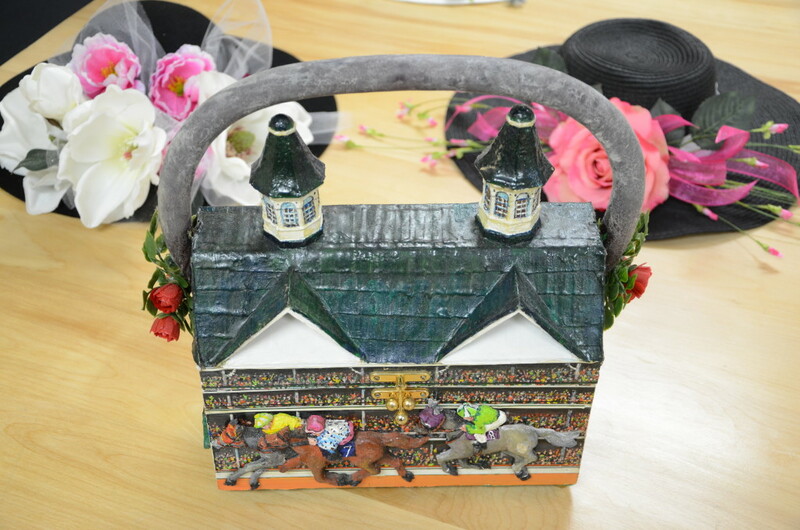 As you can see in the photos, the purse was so unique we haven’t been able, in our research, to find another like it. 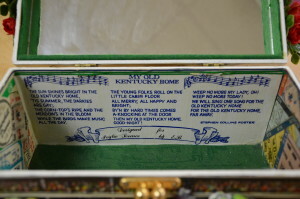 Years ago, after my grandparents had passed away, my mother received a request to sell the purse to the Churchill Downs Museum, but she couldn’t bear to part with this beautiful piece of history that never fails to remind us of how much we adored my grandparents. The purse is a reflection of how much character and charm they possessed. 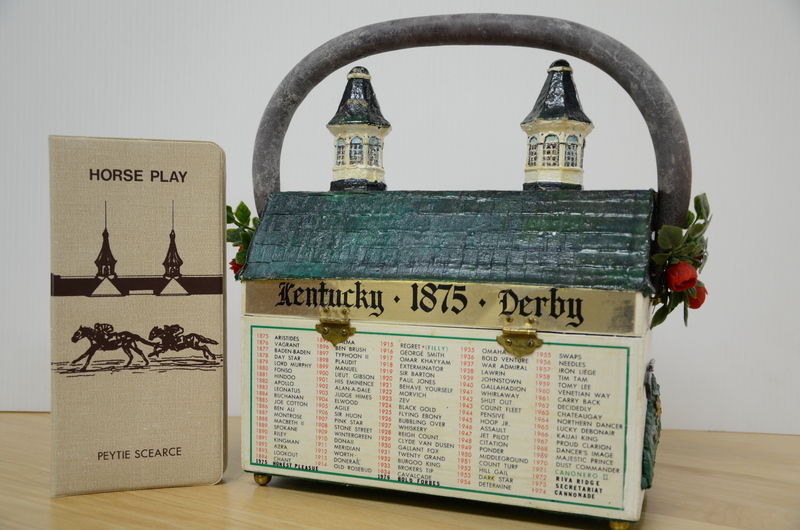 Recently, when we pulled the purse out of storage, we found a personalized Churchill Downs Betting Book. 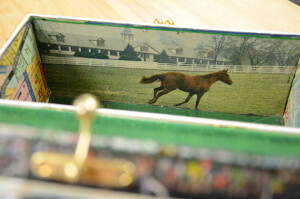 Inside was the list of her top 6 horse choices for the 1976 race – the last Derby they attended together. 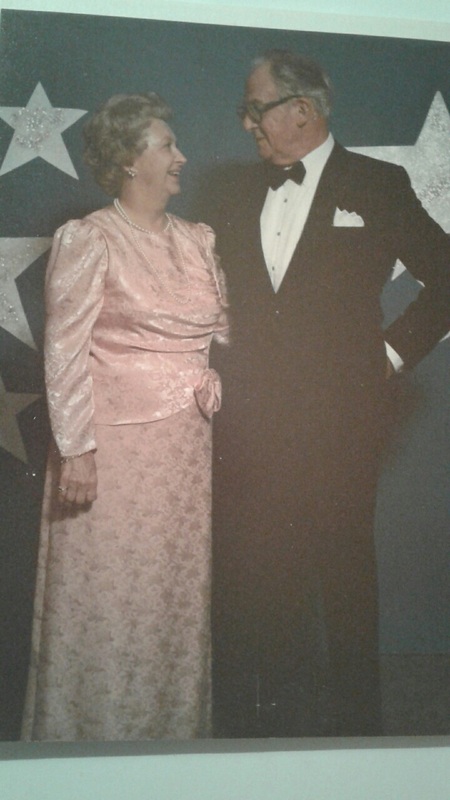 In this little walk down memory lane, I have also included a link below to an interesting article about my grandfather, Mark Scearce. He founded, along with Mark Wakefield, the world-renowned Wakefield-Scearce Galleries in 1947. Everyone who enjoys Derby history will find the story about my grandfather and the Julep Cups fascinating! To this day, the Galleries remain in operation by my family in Shelbyville, KY and are enjoyed by people from all walks of life and all corners of the world.